The delightfully simplistic monogram design on our Toasting Flutes will allow you to toast through the years! Smooth hand-blown glass gives shape to this timeless set that work perfectly as wedding favors and as treasured keepsakes. These Champagne Toasting flutes are the perfect gift for the wedding couple, the members of the wedding party or the couple's parents as they make a great keepsake memento in honor of the big day. Please note: minor bubbles and swirls are inherent to hand-blown glass. 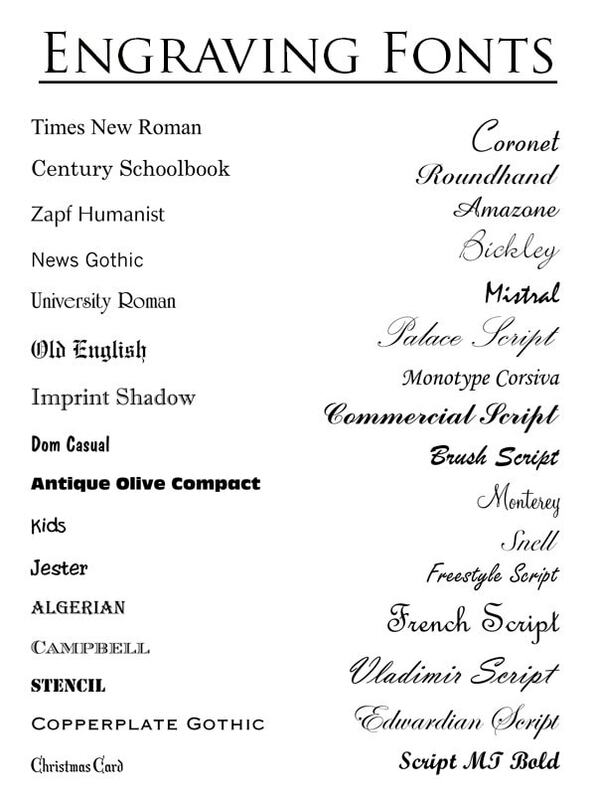 Variations may occur on styles due to their handcrafted nature. The images shown online are presented in darker color so that you can see the engraving. The actual product is laser engraved and will appear like a white frosted glass on the engraved parts. Please note this item must ship in its own box when purchased with other items. Please note we double pack this item to ensure that it will not break in transit. Shipping available in the USA and its Territories only. 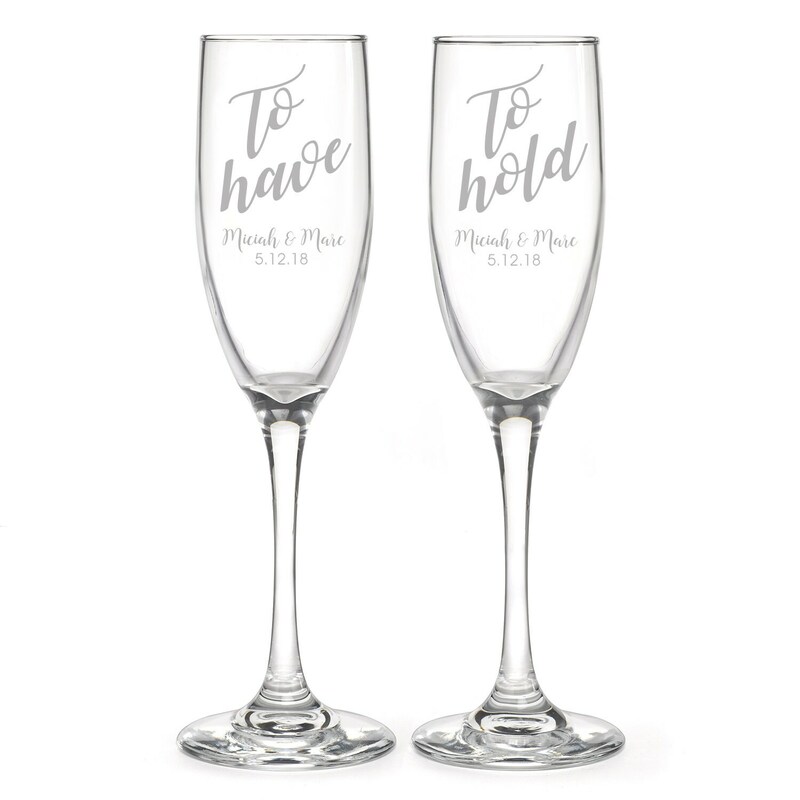 The double hearts design on our Champagne Toasting Flutes may be engraved with two names on each flute (max of 12 characters per name) and a date or second line of text. In the notes to seller list what you would like engraved on the glassware.